As we reported a few months ago, one of the Subaru Impreza WRXs used for the awesome Baby Driver film was auctioned off for a staggering $69,000. But that rear-wheel drive-converted ‘Rex wasn’t the only example used during filming: as is the norm for big productions like these, there were multiple cars, and one ended up in the hands of Ansel Elgort, who played the titular character. He’s been putting it to good use too, taking advantage of the slippery conditions brought on by the ‘bomb cyclone’ snowstorm that’s been hammering the east coast of the United States. 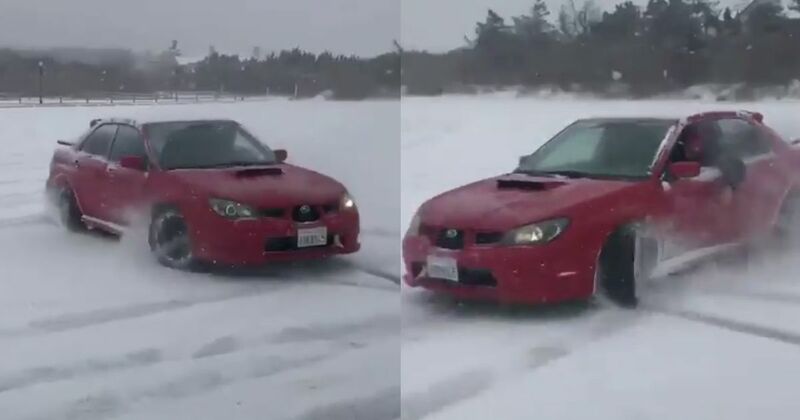 Judging from the footage above, Tweeted by the actor himself, this particular WRX prop is still all-wheel drive.